I cut down a Douglas Fir tree last year around June and we've dried it outside with tarp on top. I live in Seattle where it constantly rains. A couple of days ago I tried to use some of the wood in my outdoor firepit using Duraflame firestarter and it created a lot of smoke and not a lot of fire. I tried couple more times with different pieces but still the same result? I bought wood moisture reader and it reads 10~16% in the middle of the woood. I don't understand why there is too much smoke and not a real fire when I think the wood is sufficiently dry. How dry should a firewood be for ideal burn? From the moisture content of the wood it is certainly dry enough to have a good fire. I would suggest that you don't have enough heat to fully ignite the gases. Wood burns through a process called pyrolysis where heat first breaks down the solid into flammable gases, which if there is enough heat will ignite and start a chain reaction. 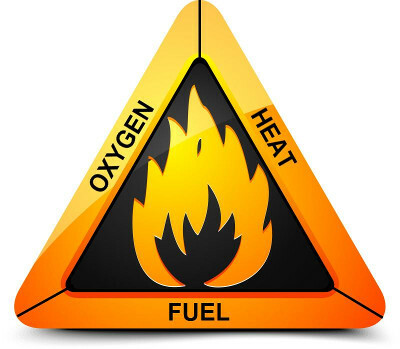 As the flammable gases burn, more heat is generated, so pyrolysis speeds up, more flammable gases, more heat and so on, until there is no more wood to pyrolyse. If, as the flammable gases are driven off, there is not enough heat for them to ignite, then they will just rise off within the smoke. Smoke is essentially a mixture of unburnt flammable gases, partially burnt gases, and steam. It sounds as if you may be trying to start your fire with sections of wood that are too large, so the surface area of the wood is small compared to the volume. So the heat is enough to start pyrolysis, but dissipates too quickly for the gases to spontaneously combust. You need to start your fire off with very small bits of wood, dry grass, twigs and progressively build up the fire with larger and larger bits of wood. You need to get a good hot base to your fire before putting on large pieces. Not the answer you're looking for? Browse other questions tagged firewood or ask your own question. Which types of wood will make food taste bad?